Madison County's Prominent Dealer in Grain, Wool, Live Stock and Farm Implements. The Leading Enterprise of South Solon, Ohio. Prominent as business man in the county, and located in South Solon, is Mr. R. B. Gordin, reputed the largest shipper of live stock into the great City of Pittsburg. 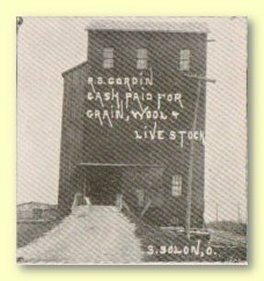 He is a native of the county, and purchased the present elevator in South Solon in 1898. It was then a small affair, but in ten years has more than doubled in capacity, and output. 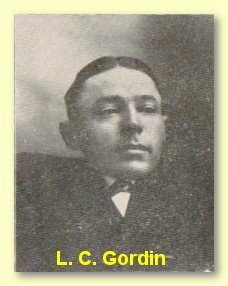 With him is his son, Mr. L. C. Gordin, whose business ability has been regarded very highly ever since his youth. He has been the general manager and right hand bower of his father, and to his acumen and energy is due much of the growth of this large enterprise. 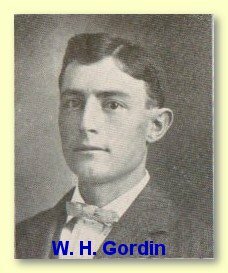 About one year ago, Mr. W. H. Gordin, a second son, was taken into the business. He is also well-equipped for the business, having spent several years in the stock yards of Buffalo, where he acquired invaluable knowledge of cattle and shipping. These gentlemen are very popular with all who have ever done business with them. They pay the highest market prices for wood, hay, grain, seeds and live stock. Their hundreds of customers testify to fair dealings and prompt returns. They also deal in buggies, pumps, coal and the best makes of farm implements. 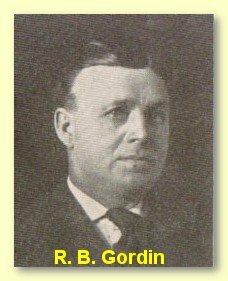 Mr. R. B. Gordin has lived and done business in the county all of his life. His name and those of his two sons, are synonyms for honesty and fair dealing.